It’s that time again Drake stans. Your very own 6 God, released a new project last Saturday! After delivering another chart topping album with “Views”, we’ve all been waiting for new music from the Toronto artist himself. Drizzy officially announced the date of his album through his promotional instagram video and is available to stream through Spotify as well as Apple Music. He released the upcoming works of his projects back in October on the infamous OVO Sound Radio as well as posting a picture of his father, Dennis Graham posed for “More Life”. Unlike “Views”, the project is described more of a playlist vibe rather than an album. 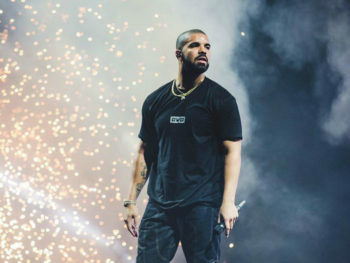 Artists like Kanye West, Jorga Smith, Sampha, Young Thug, PARTYNEXTDOOR and Travis Scott are one of many featured on some of Drake’s tracks. Like his previous albums and mixtapes, Drake provides a tracklist with various tones ranging from dancehall, a trap vibe and also those infamous heartfelt songs he is known for. He mentions in his song “Do Not Disturb” that he will release more music in 2018, so for now enjoy the playlist from the 6 God and be prepared for what he has to offer in his next project! As well as be ready for those OVO Fest tickets… it’s going to go from spring to summer seventeen real quick.